I do not go out shopping very often. I tend to be a homebody for the most part which is always a good thing for the wallet. When I do shop I LOVE getting good deals. I ran to Hobby Lobby this week looking for a few things in particular and was disappointed that they didn't have more on their weekly special.That disappointment quickly turned in to excitement. 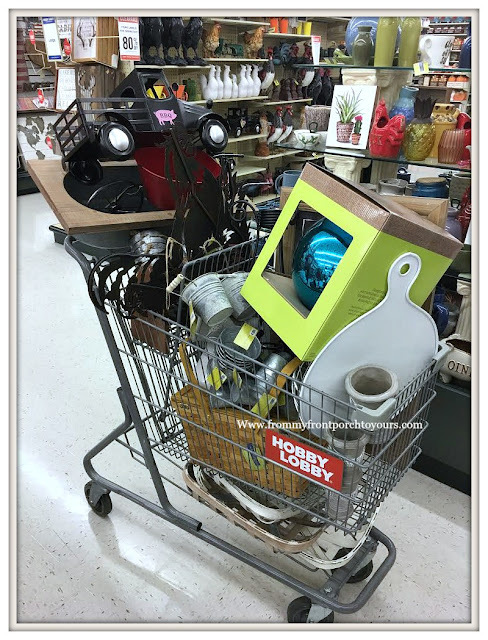 Hobby Lobby is having a HUGE end of season sale and all spring and summer is 80% off right now! No lie when I say I went to two different stores looking to see what was left. The first store only had a few goodies but the second store I was doing a happy dance! The boys kept telling me I could only buy what would fit in ONE cart. LOL. I did end up putting a few things back. 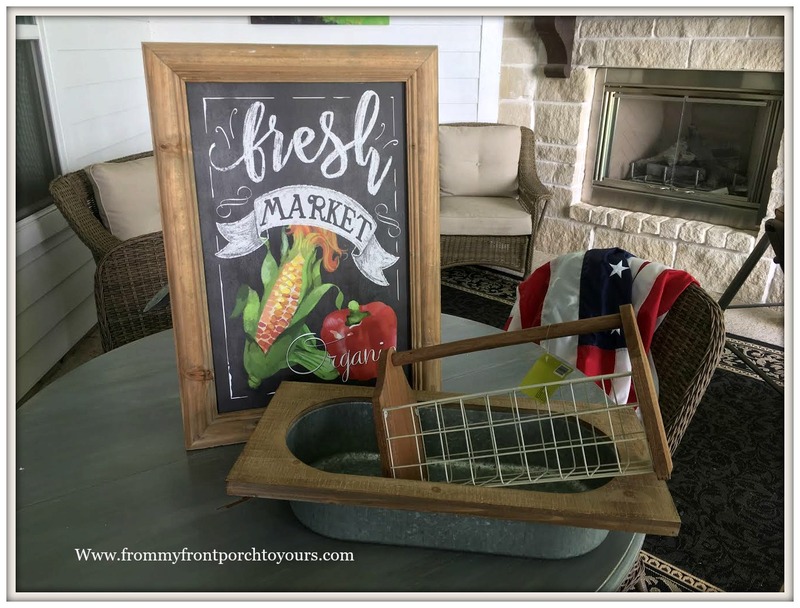 This sign was just $7 and I thought it would be cute if I ever do a farm themed front porch. If not I can always paint over the graphic and use it as a chalkboard. It has a great wood frame. 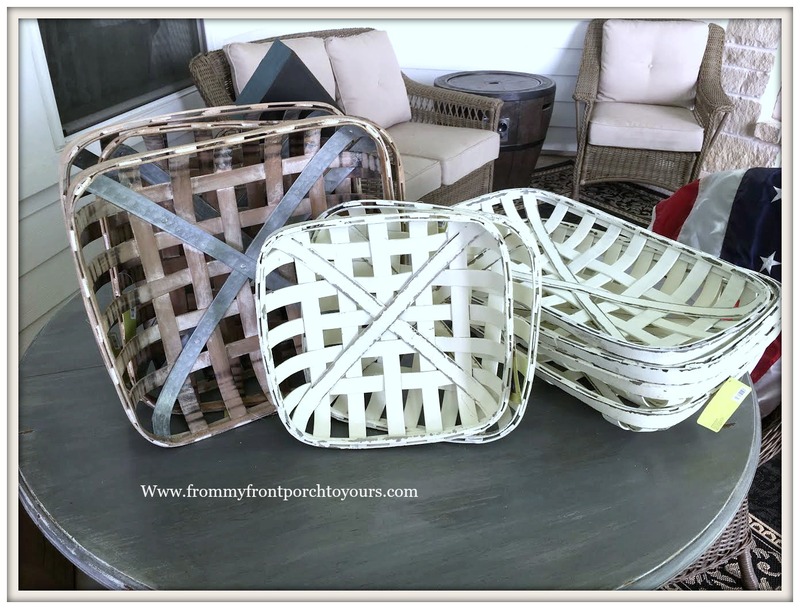 The white bread board basket will make a great wreath. 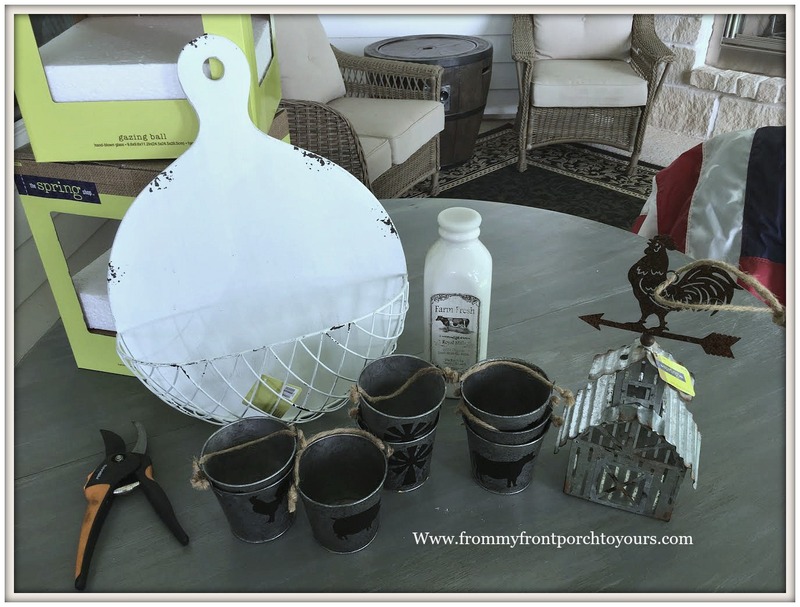 I have plans for the little farm pails and barn. 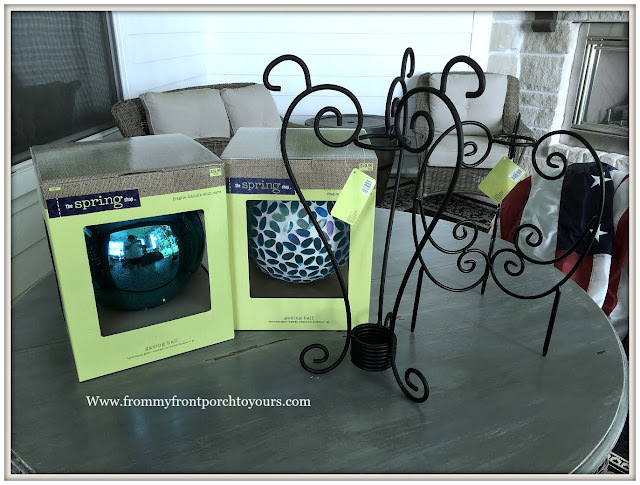 I found two beautiful gazing balls and two stands. Yes, I know the one stand is upside down. One set came from one store and the other from the second. Adorable melamine flamingo plates. There are four of each. These guys I have been eyeing up since we were building. Hobby Lobby has carried them for three years now and I am glad I held out. 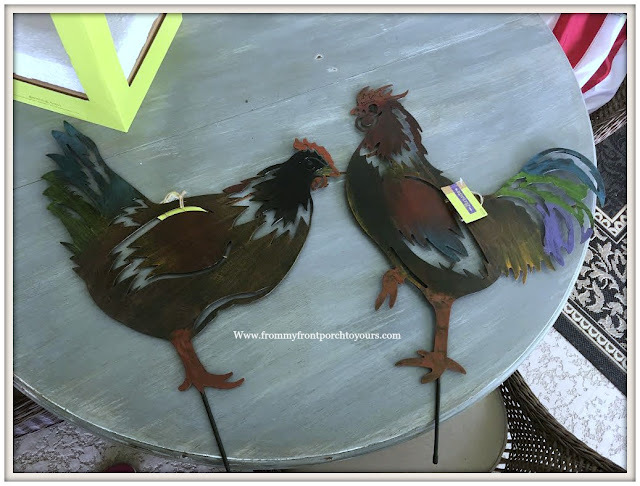 They were just $5 each and a whimsical addition to our backyard since I can not have real chickens. Great basic picnic basket. Some more tin items that I have plans for. These two may go back. Not sure yet. I purchased thinking I would paint them. The truck would be so cute painted for Christmas. Then there is the mother load of tobacco baskets! I wish they had some larger ones left but these will work nicely. They were only $4 or less! 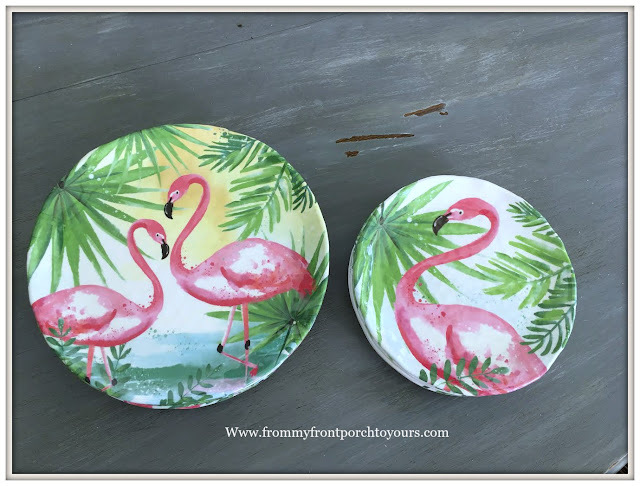 So if you are into bargain shopping and farmhouse decor run to your nearest Hobby Lobby to see what steals you might luck up on! Yes, lots of good deals! I wouldn't worry about the elements either at that price. Yes, it is always fun to find good deals. Hope you are having a greta weekend. Cannot wait to see what you do with all your goodies! Hi Carol! Thanks for visiting sweet friend. I hope that your weekend is going well. Is it as hot for you as it is us? We will be 102 on Sunday. wow! you did get some great bargains! I got the black truck when it was 50% off because I loved it. It was part of my 4th of July BBQ table holding the mustard ad ketchup. I'm planning to use it as part of a fall family reunion table again holding the condiments. 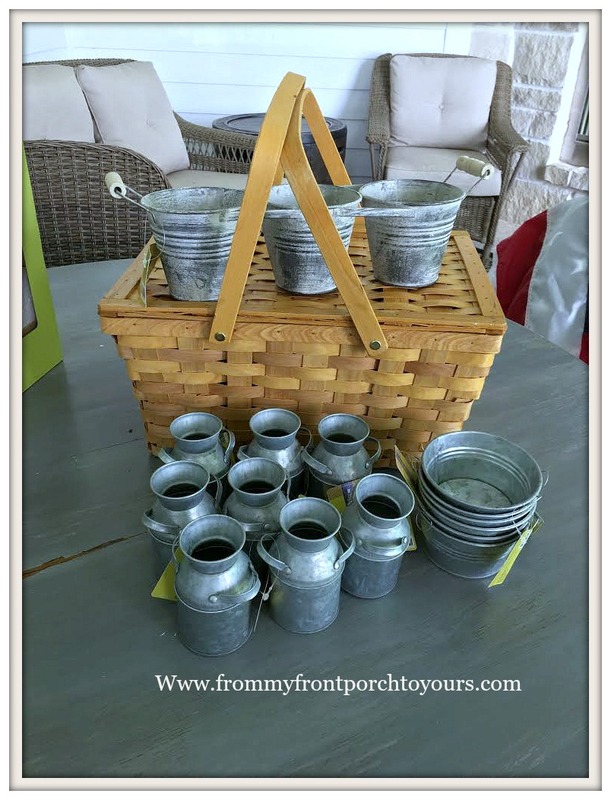 My hubby also bought some of the galvanized buckets and other items because he likes to plant our flower beds and plans to use them there. Great sale! What a great use for it! Mine will hold pumpkins and Christmas trees. Ahhhh Pam you found some great bargains. 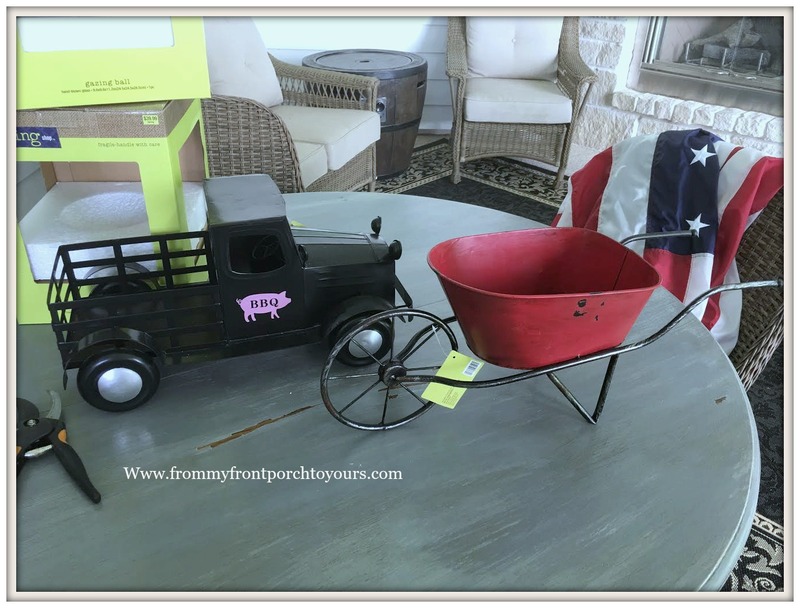 I love that little red wheel barrel. How adorable is that! It is a rain filled day here so I might have to venture out to Hobby Lobby and see what treasures and bargains mine holds. Happy Friday. Have a great weekend. I wish we had rain here Kris. It has been so dang hot. I hope you were able to get out and find some goodies. Wow, what a score. Wish we had Hobby Lobby in Canada. Thank you for visiting! Hope you had a great weekend. New Hobby Lobby's are always nice! Hope you were able to find some good deals at yours.